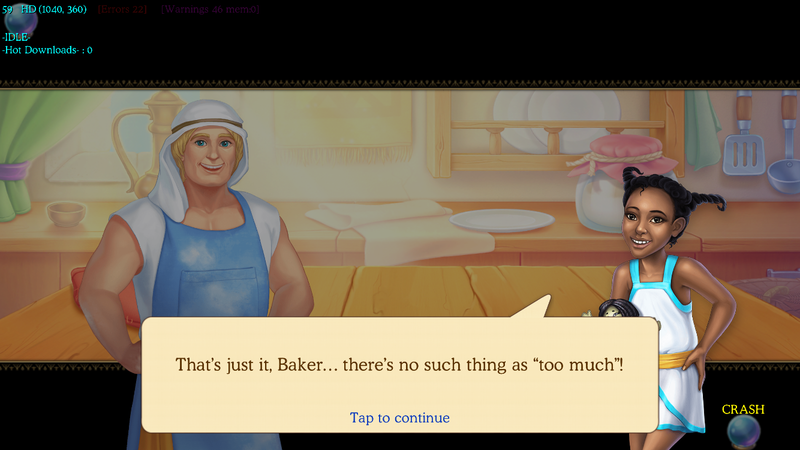 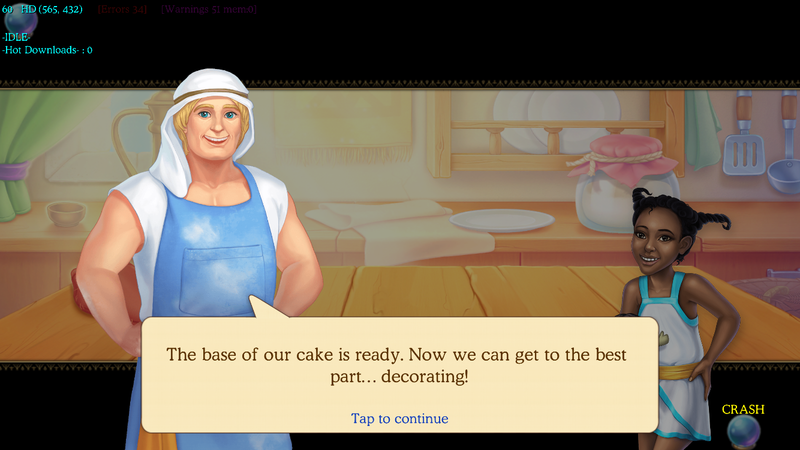 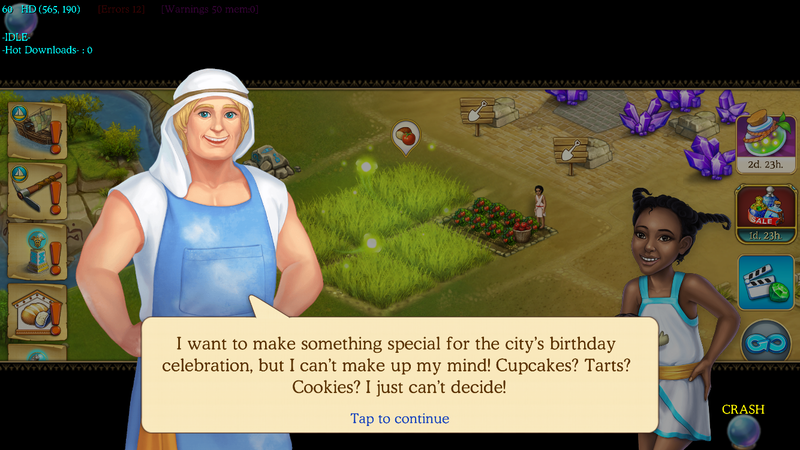 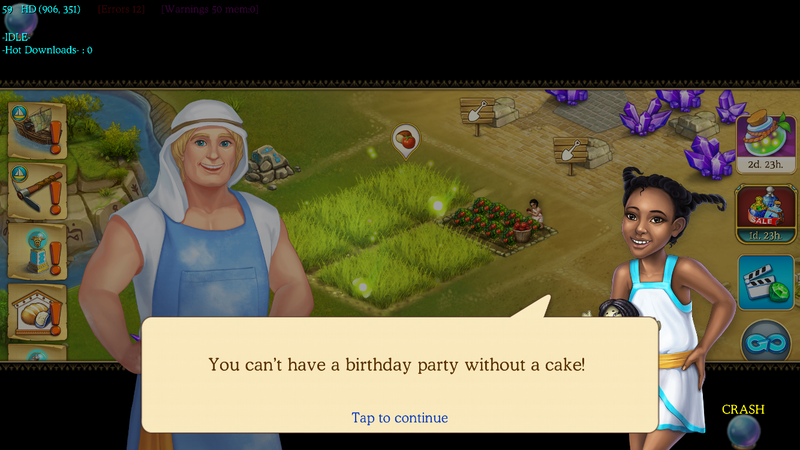 I served as writer for Cradle of Empire’s 5th anniversary event to celebrate the game’s fifth birthday, in which players help the baker make a cake for the city’s celebration. 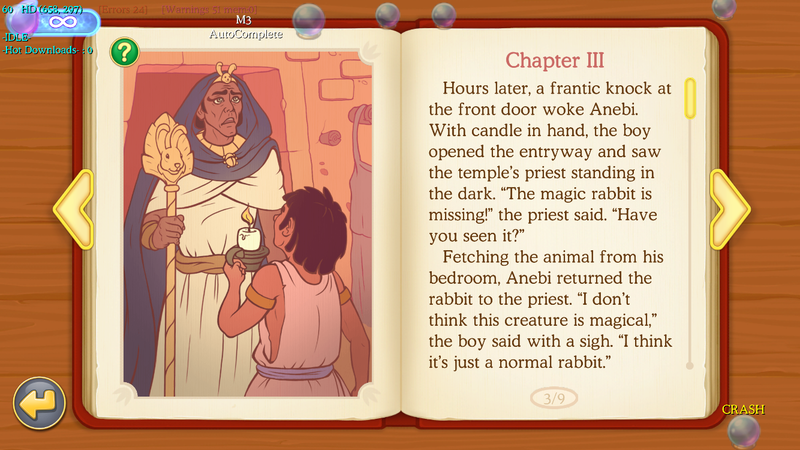 I wrote all cut scenes that occurred between levels. Players braved 40 challenging match-3 puzzle levels during the birthday event to build the celebratory cake and win valuable rewards. 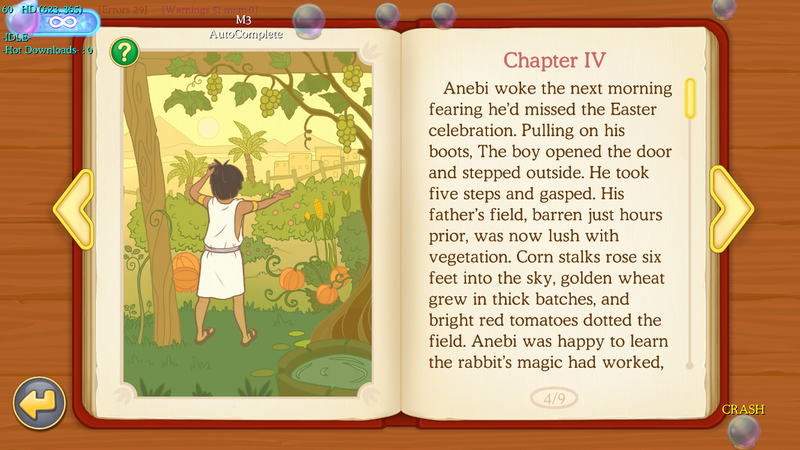 I served as writer for Cradle of Empire’s Easter event, “Tale of the Magic Bunny” for which I wrote a fairy tale about the importance of always telling the truth. 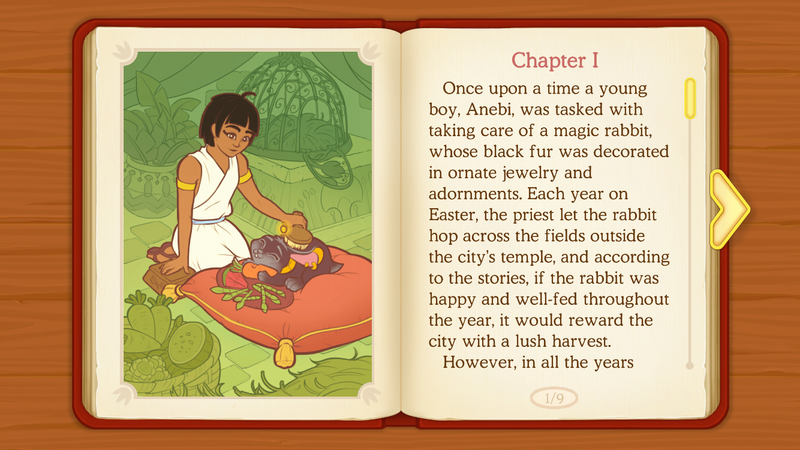 A young boy borrows a magical rabbit from a temple, hoping to use it to bless his father’s field. 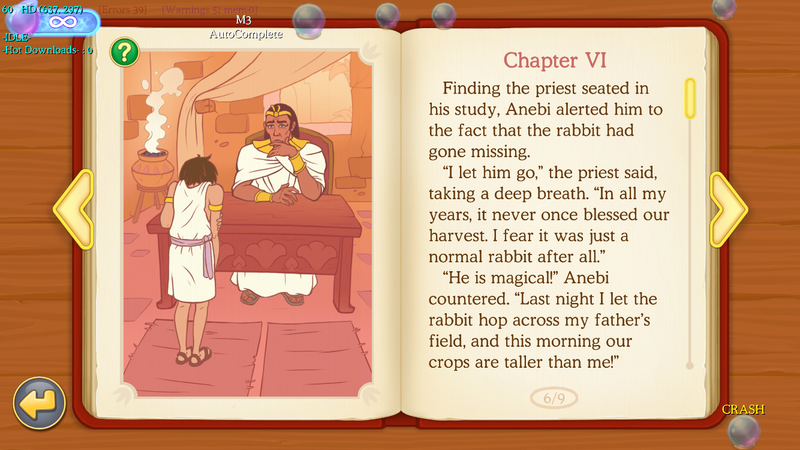 However, when the crops grow higher than he could have ever imagined, the other villagers start asking questions. 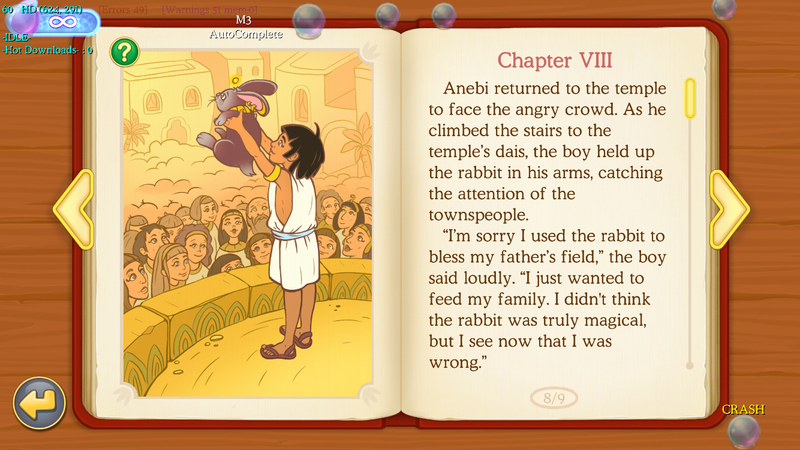 The boy, nervous about coming clean with his fellow villagers, makes matters worse by telling lies at every turn. 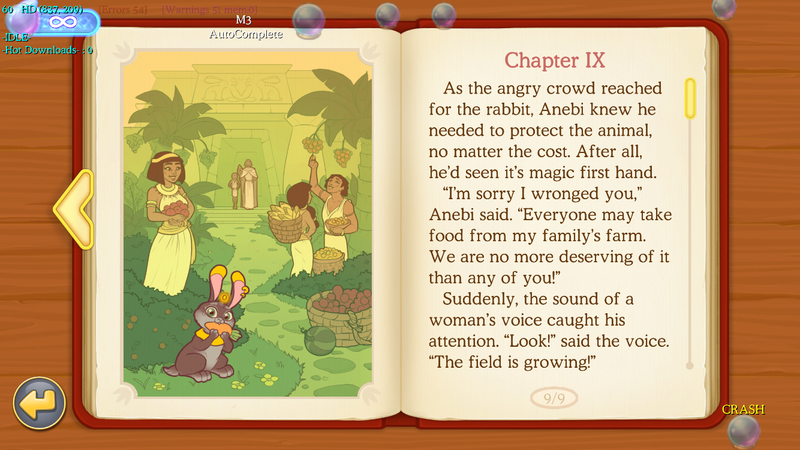 Players were treated to nine pages featuring prose and storybook art as they completed 40 challenging match-3 puzzle levels during the Tale of the Magic Bunny event. I served as writer for Cradle of Empire’s Valentine’s Day event, “Three Wishes” for which I wrote a fairy tale about true love and the magical genies who make life more difficult. 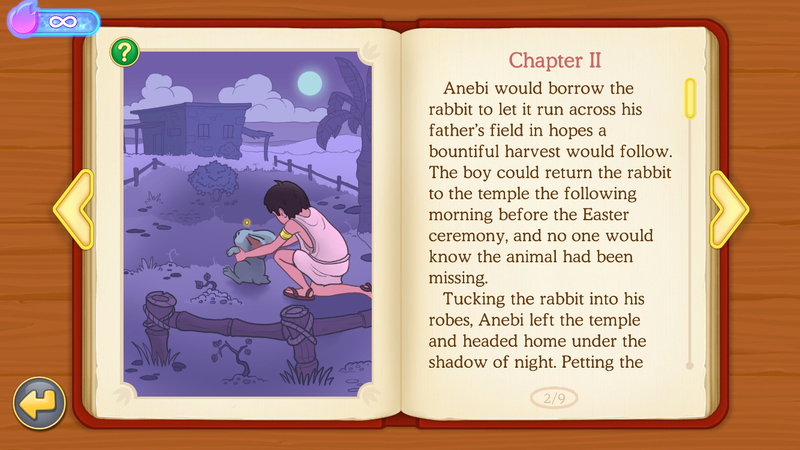 The shy and meek Amira loves the strong and handsome Garib, but can’t get up the courage to speak to him. 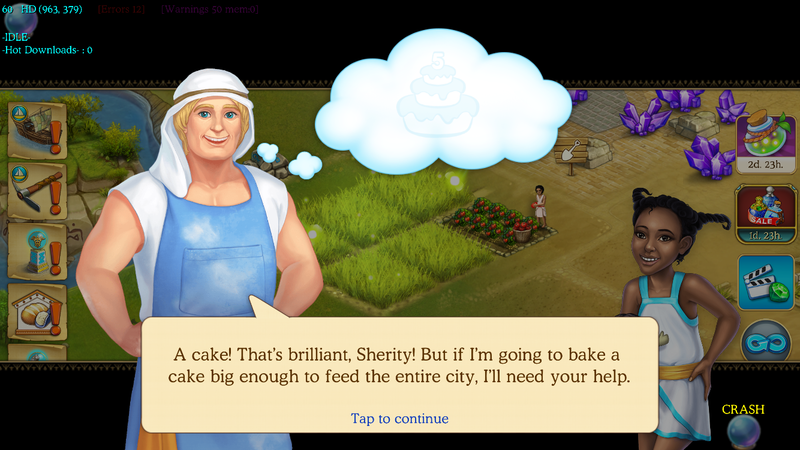 Meanwhile, Garib’s affections fall to Leila, a beautiful and outgoing woman. 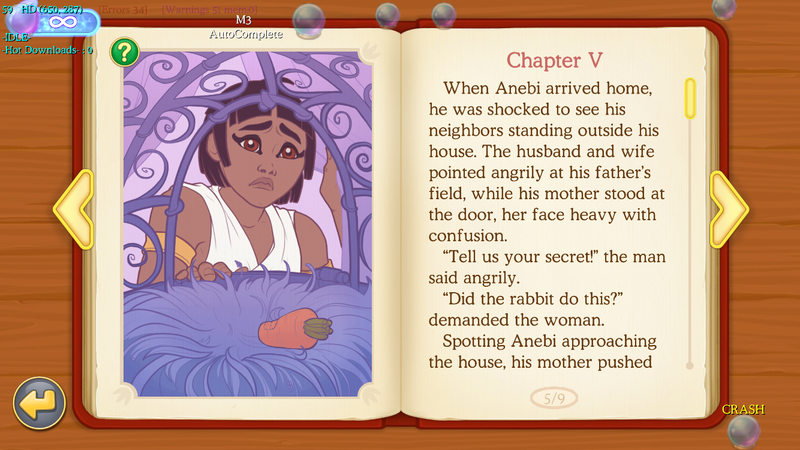 When Amira stumbles across a genie lamp, the magical being offers to grant her three wishes, and the woman will need all three if she hopes to keep Garib and Leila from falling in love. 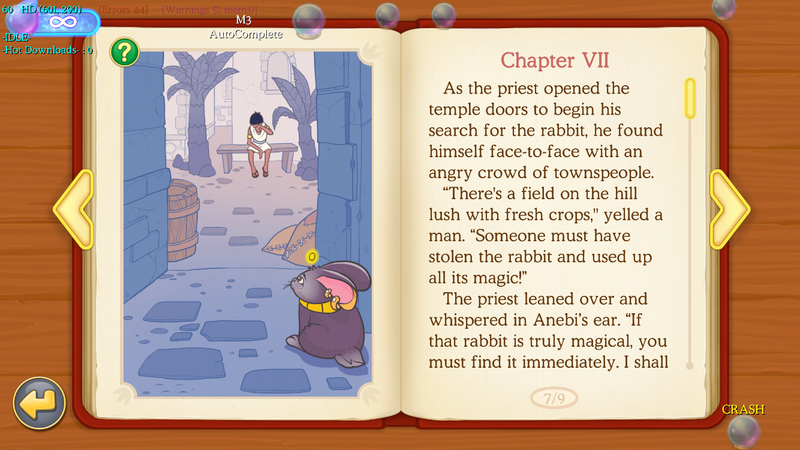 Players were treated to nine pages featuring prose and storybook art as they completed 40 challenging match-3 puzzle levels during the Three Wishes event.